As I was driving home from work tonight a strand of frothy cloud stretched the length of Whidbey Island. At either end it joined into a massive cloud bank. 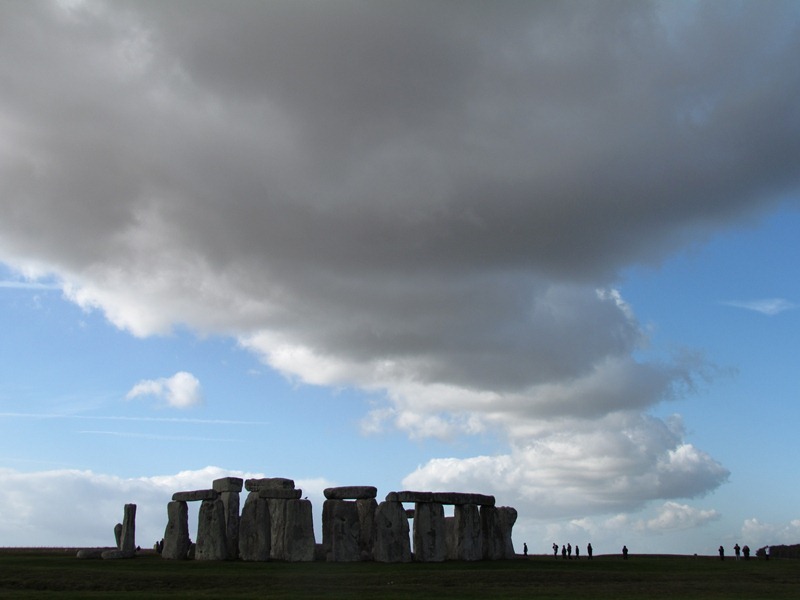 Watching these clouds I flashed back to another atmospheric display over Stonehenge last month. A rainstorm had chased us all the way from Montacute to Stonehenge. I love saying that – From Montacute to Stonehenge – so resonant, try it, sounds like the title of a novel or movie. But when we reached Salisbury Plain the rain stopped and the wind whipped the clouds over Stonehenge into shapes that made me understand why this place might inspire folks to try a little magic.